Vacuum @ 1000RPM Idle 15"
Do not use late model timing sets. They are machined in a retarded position and are not recommended for this camshaft installation. Use Performer-Link Timing Chain Gear Set 350-7829 or similar set. Edelbrock Performer-Plus Camshaft Kits are designed for optimum torque from the low end to midrange. Performer-Plus Camshafts match Performer Manifolds for vehicles operating from off-idle to 5500 RPM. They are smooth-idling cams for daily drivers, trucks, vans, RVs, and 4x4s. You can expect major improvement in throttle response and torque. 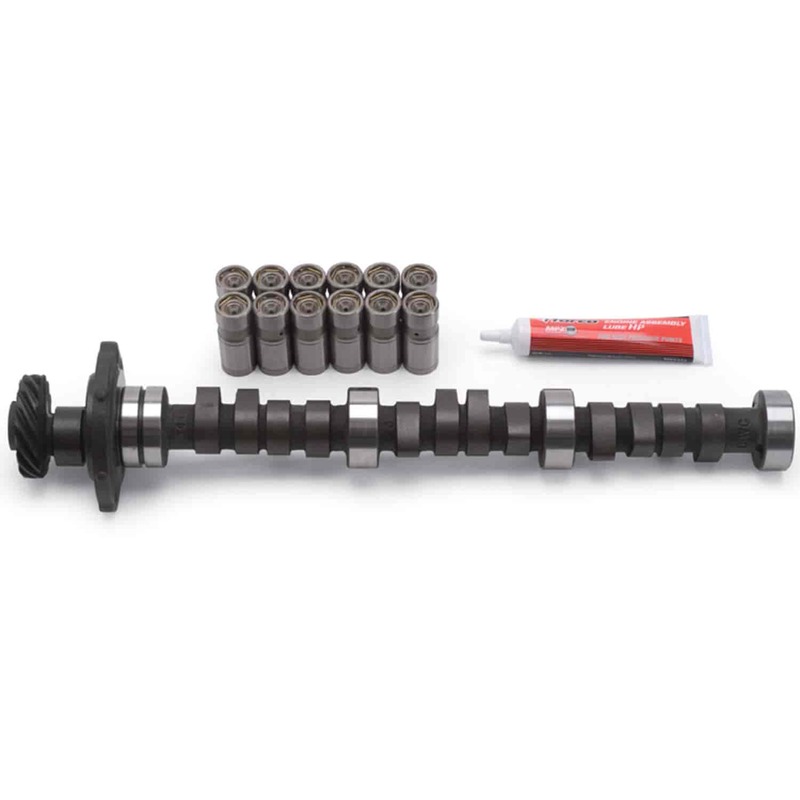 All camshafts come with flat tappet lifters (except for cams designed for use with stock roller lifters), assembly lube, and instructions. Try one of the many Edelbrock cam and lifter kits available to build horsepower and torque. Does Edelbrock 5487 fit your vehicle?